Episode 22 of the Paul Kirtley Podcast comes to you from the Swedish Bushcraft Festival, or Bushcraftfestivalen, held in a hamlet in a lovely rural area of forest and small farms, not very far from Stockholm. Last year I was invited to give a talk at the event. This year I was invited back to give some fire workshops. 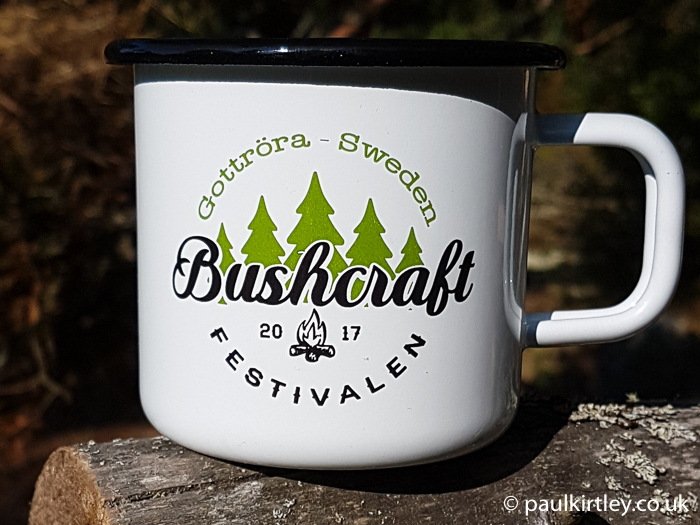 I also took the opportunity to record some conversations with other workshoppers, presenters and people involved with organising Bushcraftfestivalen 2017. This podcast is made up from some of my conversations at the 2017 Bushcraftfestivalen. Guests include Lisa Fenton, Harry Sepp, Jonas Landolsi, Tobias Karlsson, Kevin Warrington, Jonas Als and Mikael Akerman. Enjoyed the report from Sweden during this week’s commute Paul – sounds a very nice festival. Tempting to take a trip next year. Cheers. Ahh…Lisa Fenton. I love to listen to what she has to say. Please bring her on again soon, Paul! (What? No more snares for the RAF to catch squirrels?)…. Then, there are roaming rights. How primitively civilized a notion, to allow endless wandering in nature, unimpeded, with only common sense restrictions to maintain nature and social peace…. Then, the two edged sword of the bush and the Internet married to allow the craft to survive and flourish whilst leading us away from the Internet in confidence, but yet keeping us in touch through the Internet. Go figure…. Then, Harry Sepp, who contributed to the Swedish Military survival studies which debunked mythological techniques, as Mors K. did in Canada, or the Craighead brothers of the US Navy. They all developed better modern emergency preparedness. Hence, “the more you know, the less you carry.” …Wow! such a plethora of precious knowledge and experience. Thanks for the tidbits Paul. So great to hear the conversations from Buhscraftfestivalen! Unfortunately I couldn’t attend this year, but other representatives from Bushcraft Sweden were there! I really enjoy the engagement you bring forth in your guests and the great info and stories you get out of them. I hope to meet you some day! Maybe next year at the festival! That is a splendid podcast. The very best message to some out of this is that you need to “do it yourself”, and that there is no “one right answer”. Hi Paul! I am actively listening to your Bushcraft Sweden program and like it! So many countries visiting and participating from Europe and even America!? Onward into the wilderness woods-runners! Hi Paul, I’m awa at the moment in Spain. The link to your latest podcast, ep 22, won’t download. Is this because I’m out of the UK?